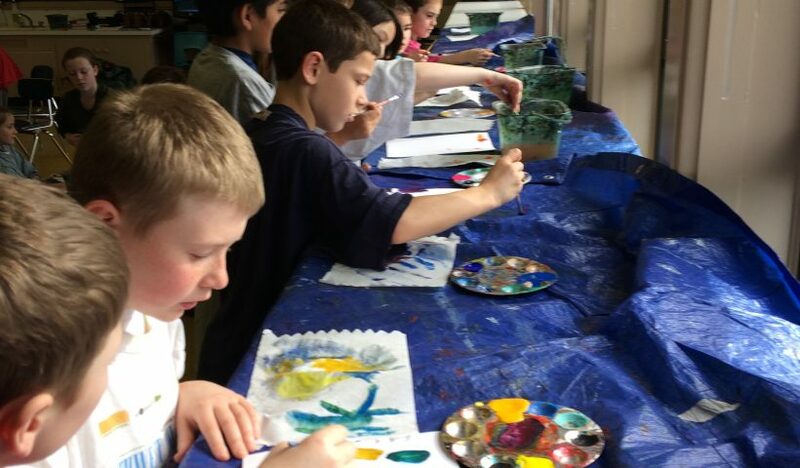 Liberty fifth graders are participating in an intensive study of pond life, which combines elements of microbiology and art instruction. The project, sponsored by the Corvallis Arts Center, combines the talents of Artist in Residence Cheryl French and microbiologists from OSU in teaching students about pond life at the micro-organism level and how to represent it artistically. On the art side, students will begin to see themselves as artists and explore the basics of modes of colors. The microbiologists will help students identify and understand the wide variety of micro-organisms that are components of pond life. The project will culminate with three-dimensional pieces that will depict micro-organisms to scale, printed on fabric, using both paint and ink.